This course will venture into the dark woods of fairytale and through the strange castles of the Mabinogi to discover the way traditional and ancient tales can be rediscovered in modern poetry and fiction. We will discuss spells and taboos, revenges and quests, dreams and desires, and open up the endless possibilities these stories offer to the writer. Working with two award-winning writers in the field, this is your chance to enter worlds that will inspire your writing and unleash your imagination. 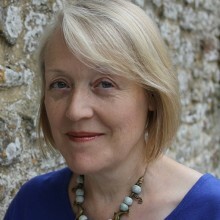 Katherine Langrish has written a number of books for children and young adults including the critically-acclaimed Troll Fell and its sequels (HarperCollins 2004). Her medieval fantasy Dark Angels (HarperCollins 2010), US title The Shadow Hunt (HarperCollins 2010), was a Junior Library Guild Choice and chosen for Kirkus Best Books for Children in 2010, and nominated for ALA Best YA Fiction and USBBY Outstanding International Books, 2011. 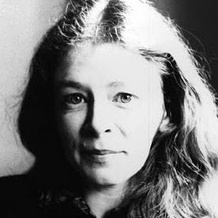 She has published essays on Mervyn Peake and Alan Garner, is folklore consultant to the journal Unsettling Wonder and is a reviewer and contributor to the Sussex Folklore Centre’s journal Gramarye. Her most recent publication is a collection of essays on folklore and fairytales, Seven Miles of Steel Thistles (Greystones Press, 2016). 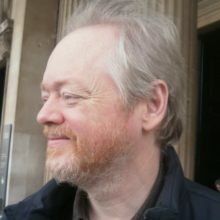 Matthew Francis is the author of six poetry collections, most recently his adaptation of The Mabinogi (Faber, 2017), two novels and a collection of short stories. His edition of W.S. Graham’s New Selected Poems (Faber) was published in September 2018. He is Professor in Creative Writing at Aberystwyth University.